The infographic above is part of an "interview" that Lex Luthor gave to Wired, in which he talked about the future of technology. 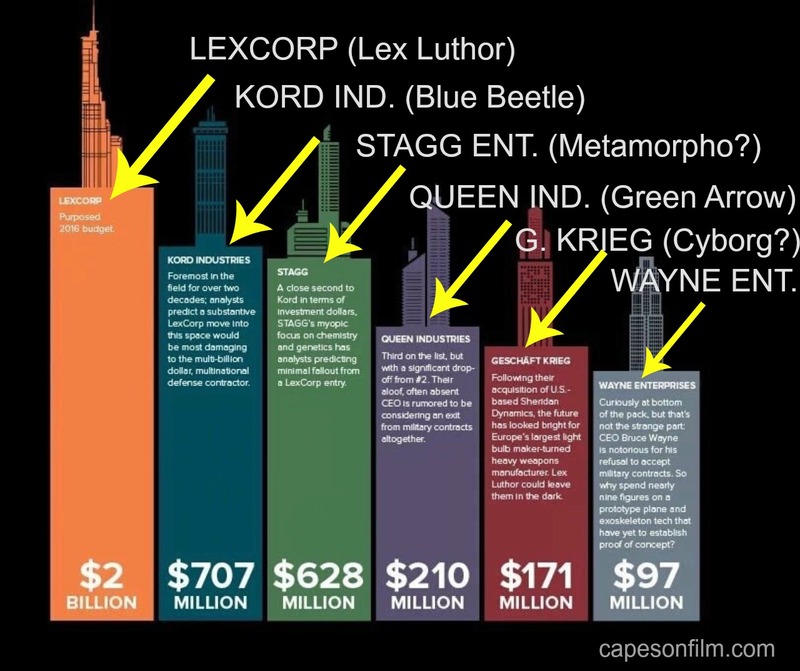 As you can see, several of the names will be familiar to DC Comics readers, including Queen Industries - of course, referring to Oliver Queen - AKA Green Arrow. Check out the other DC Comics references below. Lexcorp is obviously the home of Lex Luthor himself. Kord Industries is associated with Ted Kord - AKA Blue Beetle. Stagg Enterprises has a connection to the android known as Metamorpho. G. Krieg was mentioned in the TV series Smallville as connected to the superhero Cyborg. 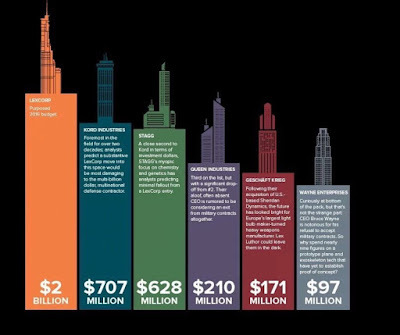 And of course everyone knows Wayne Enterprises. Sponsor Content by Warner Bros. Entertainment, Inc. Thanks to Clevver Movies for the info.